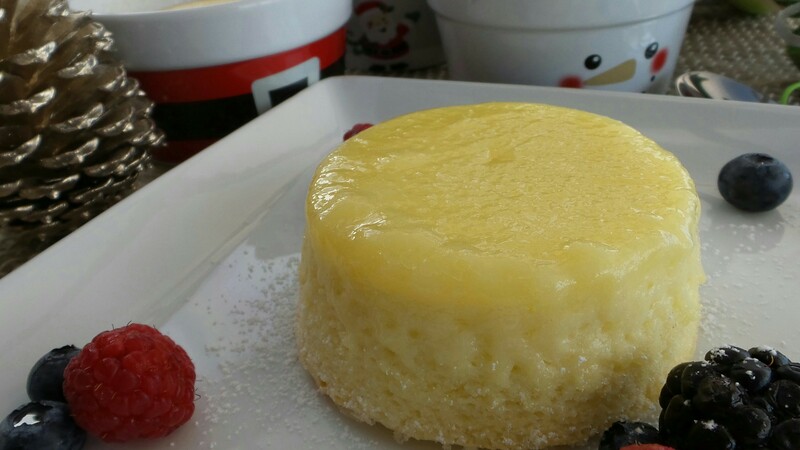 I have been eyeing this Tyler Florence Lemon Pudding Cake recipe for weeks, but I am reluctant to buy a carton of buttermilk just to use 2/3 cup of it. Finally, I decided to try a buttermilk substitute using some leftover yogurt. It turns out perfect! 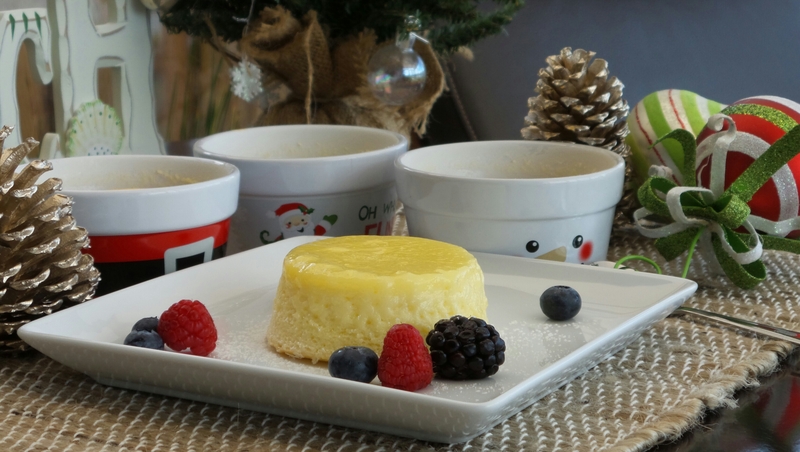 Just found another awesome dessert recipe for the holidays! Butter 4 ramekins and coat the bottom and side with sugar. Stir milk into yogurt until well blended. Whisk egg yolk, yogurt and milk mixture, lemon juice, lemon zest in a mixing bowl until combined. Sift flour, sugar, and salt into the egg yolk mixture. Stir to combine. Beat egg whites until a stiff peak forms. 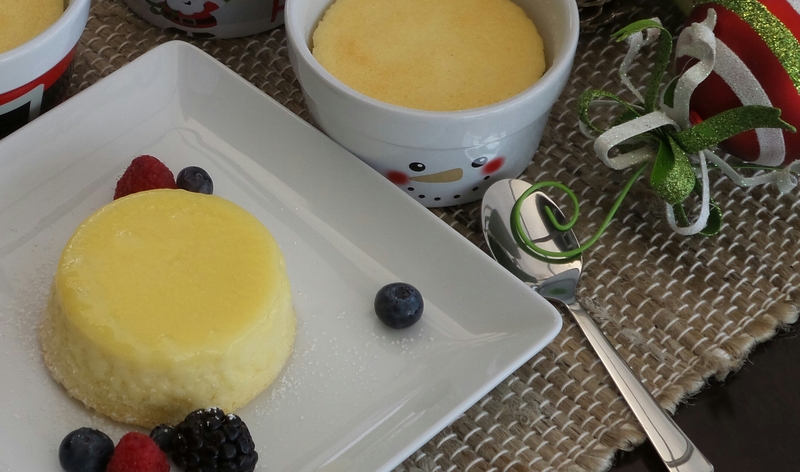 Fold egg whites into egg yolk and flour mixture to get a smooth batter. 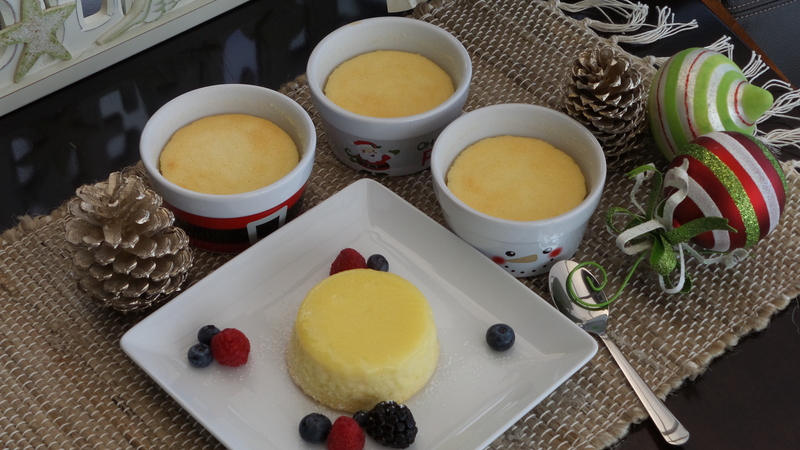 Divide batter equally among the 4 ramekins. 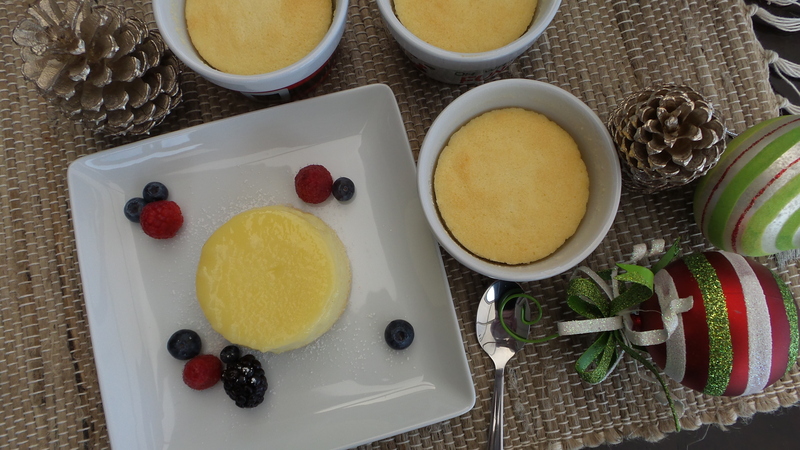 Arrange ramekins in a baking dish and fill the dish with hot water halfway up the sides of the ramekins. Bake in heated oven for 50 minutes until the top of the cake is golden brown. 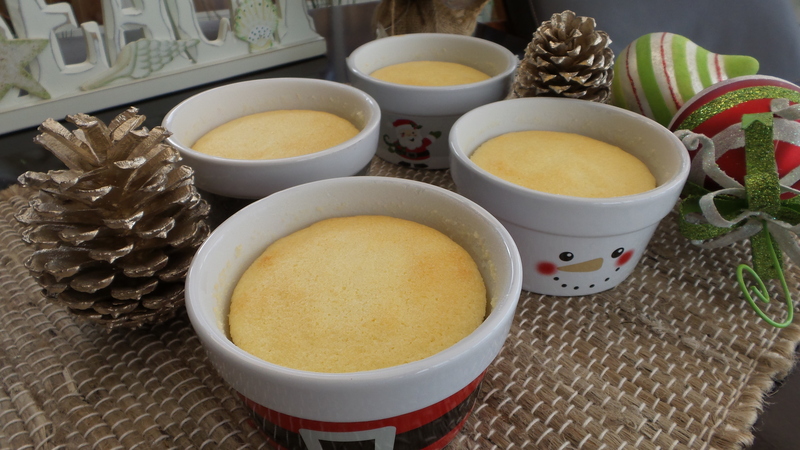 Remove ramekins from the baking dish and cool slightly. Unmold the cake onto a plate. Garnish with berries and dust with confectioner sugar. Serve warm. Thank you. 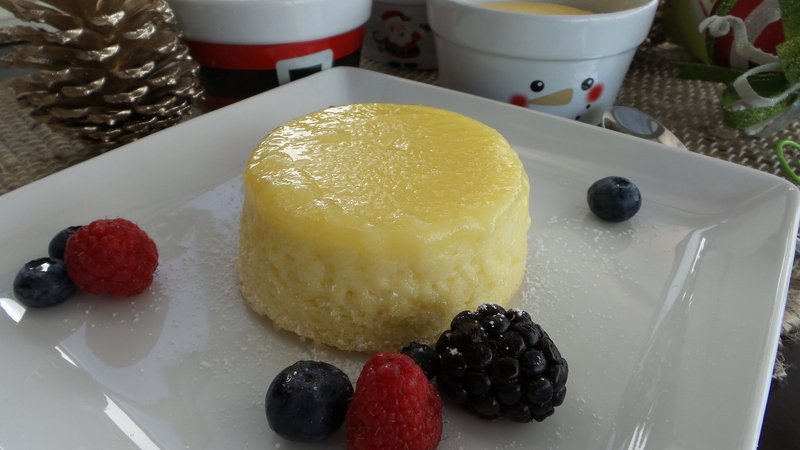 If you like lemony desserts, this is two thumbs up!